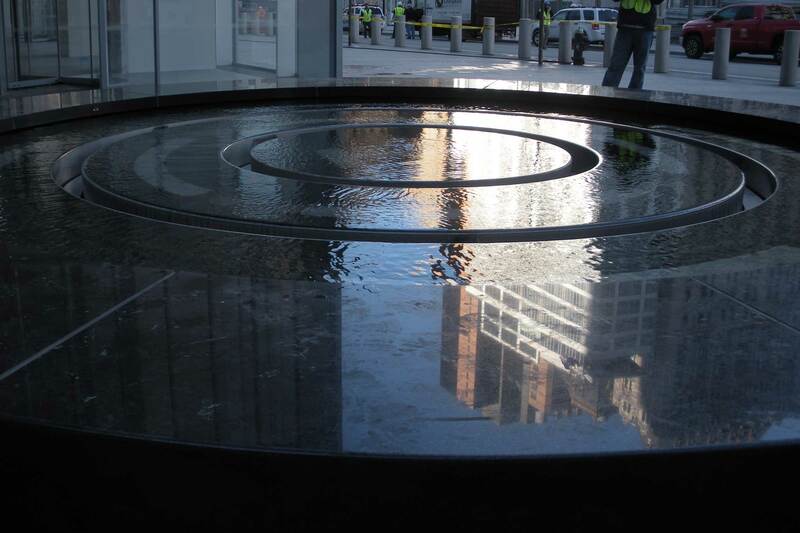 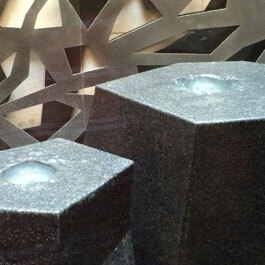 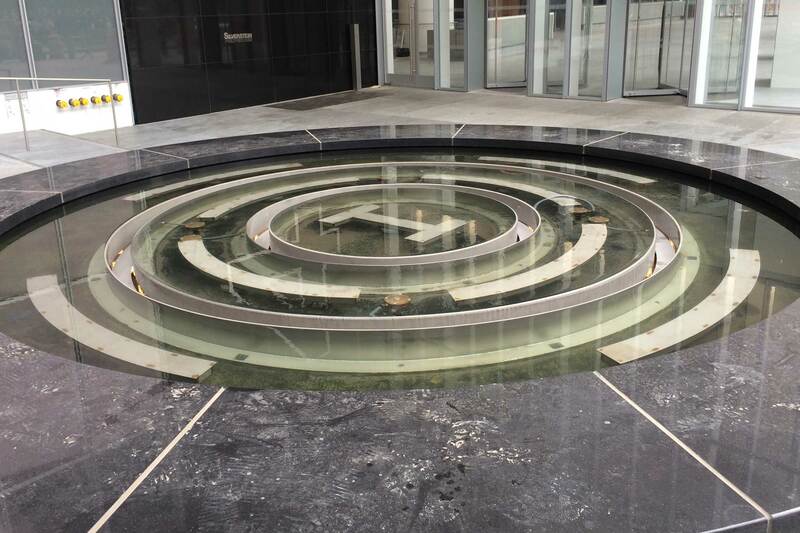 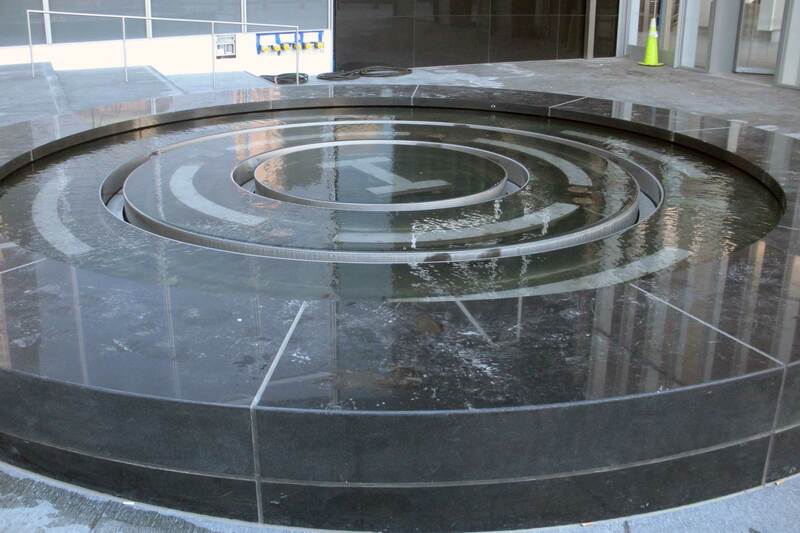 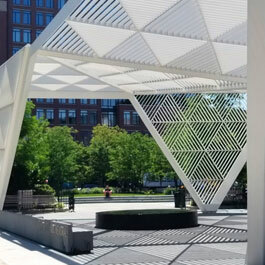 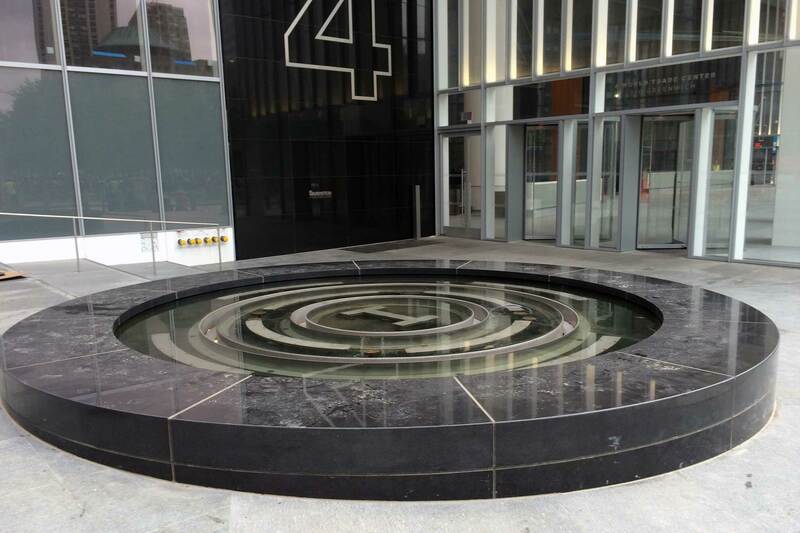 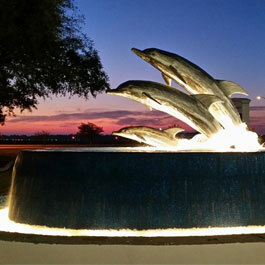 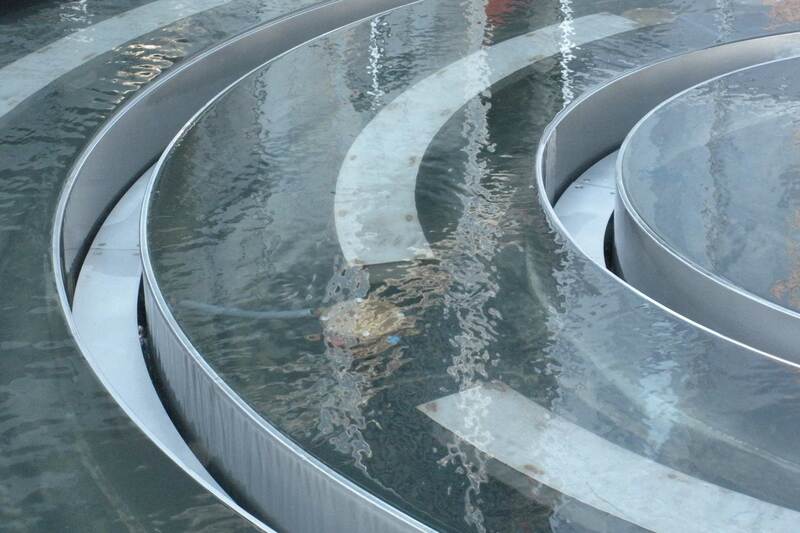 Delta Fountains fabricated and supplied the equipment for the rooftop fountain at World Trade Center Tower 4. 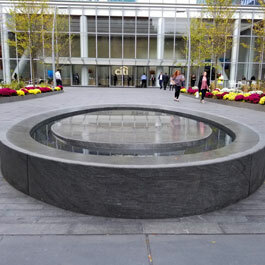 The rooftop fountain is a table-top style with a unique circular design. 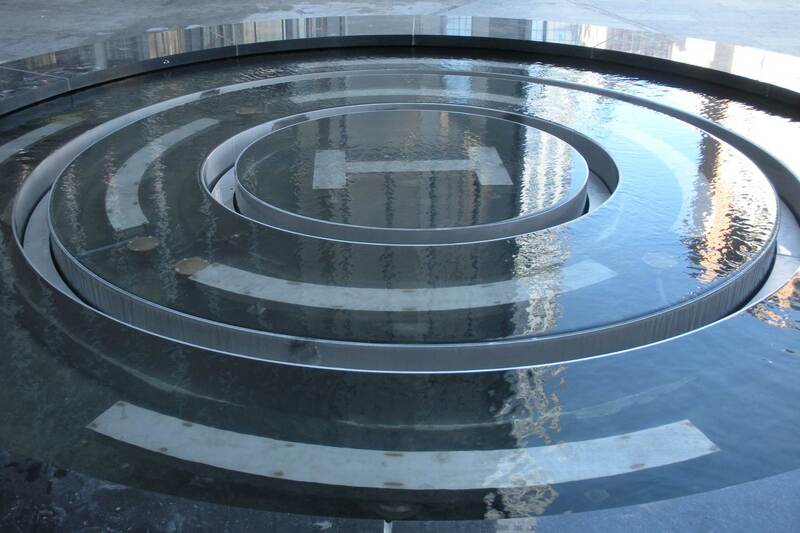 The custom stainless steel table top design allows a relatively calm water surface for each ring.